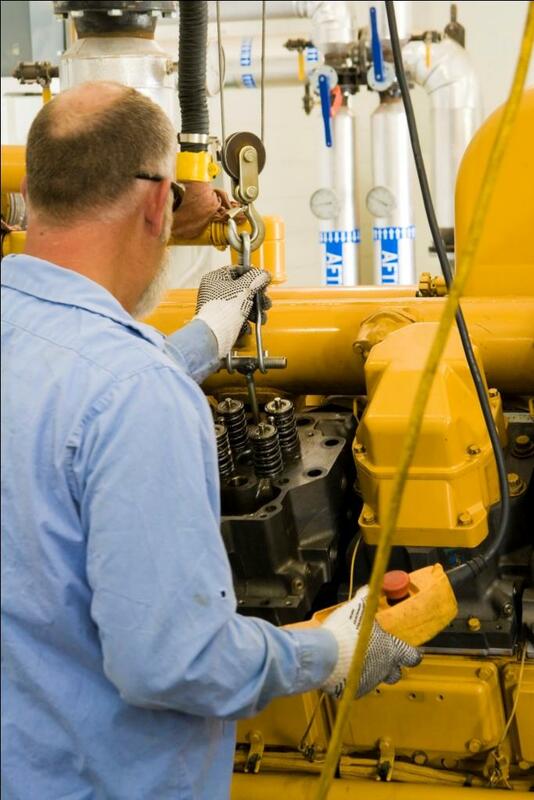 To whom it may concern…ILS Engineering is a specialist in preventative maintenance and contract servicing of diesel generators, vacuum pumps, blowers & compressors. After years of servicing and repairing diesel generators we have seen one particular recurring problem that is common to most makes and models….. that is cavitation erosion. Cavitation erosion can eventually causes the engine to fail without a lot of notice… this can be seriously expensive to repair and often involves inconvenient down time for the generators in question. Technically speaking , cavitation erosion is a major type of wear on the wet-sleeve liners of diesel stationary engines. The cavitation problem occurs on the outer surface of the liners during combustion. Most large industrial and commercial diesel engines use wet-sleeve liners. This type of engine block design allows for quick rebuilds, often on site. If one cylinder fails, the old piston and wet liner are removed together and a new set is installed. Engines using a wet-sleeve liner design are prone to cavitation erosion around the cylinder liners. We have repaired many wet-sleeve liners that have been damaged by cavitation erosion. The pitting can penetrate the liner wall until perforations go all the way through to the combustion chamber even though a good reputable big brand coolant was used in its cooling system. About 5 years ago I was introduced to Liquid Intelligence 115 Synthetic Waterless Coolant as a preventative maintenance product that would prevent or stop wet-sleeve liner cavitation erosion. Liquid Intelligence 115 performed as advertised and totally eliminated cavitation erosion and corrosion….our service engineers have not replaced any wet-sleeves damaged by erosion since. We are extremely happy with this coolant…its saved our service customers thousands of dollars in maintenance costs… and further improved our reputation as leaders in this industry. We thoroughly recommend it.